For businesses and entrepreneurs looking for a growth opportunity, Africa represents a compelling and underserved market with a population of more than 1 billion people. In a slow growth environment, Africa has grown at 5% a year during the past decade. But political risk, poverty, staffing shortages, lack of infrastructure and cultural differences abound, making it difficult to secure a foothold there. Furthermore, turning a profit in Africa is not considered to be good enough, with businesses facing pressure to give back to their communities in order to help the region prosper. 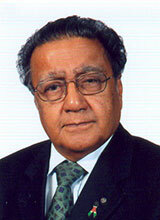 Kenyan business tycoon Manu Chandaria is chairman and CEO of the multi-billion dollar privately held Comcraft Group. The global conglomerate, founded by Chandaria’s father more than 80 years ago, is a leader in the steel, plastics and aluminum markets in Africa. It employs some 40,000 workers and operates on other continents such as Europe, North America and Australia. In addition to leading a massive business group, Chandaria is focused on giving back to the African community through philanthropic work in health care and education. Focused on fostering entrepreneurship in Africa, he recently established the Chandaria Business Innovation and Incubation Centre at Kenyatta University in Kenya. In an interview with Knowledge@Wharton conducted by Ivorian entrepreneur and author Eric Kacou, Chandaria reveals some of his secrets to business success in Africa. Chandaria discusses how other businesses and entrepreneurs can follow his lead and pursue socially responsible practices that benefit the communities in which they work. Knowledge@Wharton: There’s a lot of talk right now about Africa and all the ripe opportunities on the continent. I wanted to ask you, as one of Africa’s foremost business leaders, how does the rest of the world participate in Africa’s growth today? Manu Chandaria: The people who want to make a difference and want to make an impact are going to Africa without asking. This includes specifically companies from China, but also India, Malaysia, Indonesia and Korea. They’re all coming very fast, and they want to make an impression. Africa is growing: Out of the top 10 most important investment destinations today, six are in Africa. [Among those are] Kenya, Angola, South Africa and Nigeria. There is huge potential right now. Everybody is rushing towards it because Africa now has a more stable political climate than ever before. Furthermore, nearly all developed countries are finding it extremely difficult to grow, but Africa is expected to grow probably at 6% in the coming years. Knowledge@Wharton: If you were going to start working on the continent today, which sectors or which country would you look at first? Chandaria: If I have an appetite that is big enough, I’d go to Nigeria. It has a population of 140 million, and it supports surrounding countries, which have another 50 million people. That’s almost a quarter of Africa. So I would go there if I had the capacity to handle that large market. If my capacity was smaller, then I would go to East Africa, because in East Africa there are 180 million people from countries such as Kenya, Uganda, Tanzania and Rwanda. Knowledge@Wharton: Which specific sectors would you look at? Chandaria: I’m currently working in the housing and shelter sectors, which are growing rapidly. I wouldn’t leave these sectors. I’m not as familiar with software or telephones, but our business has specialized in aluminum and steel over the last 70 to 80 years, and I think that there is a great need for both of these products. Knowledge@Wharton: You have built major conglomerates in Africa and then invested in other parts of the world, including India, China, the U.S. and Europe. How would you compare managing your investments inside and outside of Africa? You have the perspective of being able to compare the two different business environments. What can you tell us? Chandaria: We understand how to run and manage businesses in Africa because we’ve been there for so many years. But specifically, with the downturn in the economy, we are finding that managing businesses in the United States, Canada and Europe is more difficult than ever before. India is also a very difficult environment. We cannot manage a very strong, sound business in India because it is very competitive. Meanwhile, managing businesses in Australia, New Zealand and China is far easier. But since most of the people in my businesses have come from Africa, we understand the pulse of Africa, which makes it easier to do business. Knowledge@Wharton: What type of mindset does it take to succeed in business in Africa? Chandaria: First, you’ve got to accept that it’s a third world country. It’s not a first world country. If you are thinking about the comforts of the first world, they are not there. But once you get past that, you will realize that each country in Africa has its own specialty, and if you can capitalize on those specialties then you will do well. Another example of a specialty is textiles in China. They don’t have a textile business anymore in the U.K., Europe or the U.S. It’s all Chinese. They’re supplying about 22% of the world’s garments, and the goal is to get to 33%. If you think about one country … providing one-third of the world’s garments, there’s huge potential in that market. Knowledge@Wharton: There has been quite a big debate about China’s involvement in Africa. There seems to be a negative undertone when talking about China, with people saying that China is trying to replace the West in Africa. There is concern that this will not benefit Africans. What do you think? Chandaria: There are two ways of looking at it. First of all, I think that the West had for the last 10 years not really pushed what are known as social amenities — they supported political parties. In contrast, when the Chinese come into an African country, the first thing they do is build a stadium. Second, they build a road. Third, they build an airport. Fourth, they build a hospital. You know, these things are very much near to the hearts of the people. China has its own style of doing things, and they know what they want from Africa — specifically oil, copper, aluminum, etc. Knowledge@Wharton: There are major funds such as Carlyle Group and KKR that are now investing in Africa. I’ve heard that the level of fundraising for investment in Africa is at a record high. How do these investors partner with African entrepreneurs? What would you tell them? Chandaria: These investors should first ensure that they have a business model that will work. They must also be very sure that they work with African management and cultivate better management practices with Africans. If you bring outside management to oversee a project, you’re not transferring the know-how. At some point down the road, these big projects will be taken over by locals and, therefore, working with locals is very important to ensure that the business is run well. Knowledge@Wharton: Taking a step back from the opportunities in Africa, you have lived through some of Africa’s darkest moments. What would you tell people about managing uncertainty and risk in Africa? Chandaria: If I had my way, I would bring in more education to help people understand what is good for them. This is not being done. For example, 50 years ago Kenya gained its independence, but things are no different now compared to how they were. The older people are bitter about this, and the younger people are bitter because they do not have jobs. So I think that the West must be very careful about coming in and putting in the proper standards of governance and democracy in all fields, including education, government, banking, industry, etc. Having good governance structures will allow people to start taking ownership of their work, and I think that’s the only way that we will see change for the better. Knowledge@Wharton: You mentioned the need to provide jobs and education. I think the business sector has a role to play here. Related to that point, your family started The Chandaria Foundation back in the 1950s. From your experience, what can businesses do to be more reconciled with society? Chandaria: If any business wants to succeed, they must remember that they have a social responsibility. For the last few years, we have been pushing the importance of corporate social responsibility. We feel that if you get something out of Africa in terms of profit and growth, it should be your responsibility to invest back in the continent, specifically in education and health. When you’re operating a profitable business in Africa, you must ensure that all stakeholders benefit. Knowledge@Wharton: But how do we make that happen? Chandaria: Back in the 1950s in Kenya, I told my father that we should start a foundation. He told me I was stupid, but I kept saying that we need a focal point where the family can work to help the community. We are now pushing as hard as possible for other businesses to follow our lead and create foundations that will commit to putting a certain amount of money back into areas where they can make a difference. This is working, but it’s certainly difficult. Ask me how many local Africans and local businesses are doing this? That’s what we’ve got to crack. We have to figure out how to make them appreciate this idea. We have to ensure that business leaders and foundations with experience in corporate social responsibility will help guide the way for others. We want them to hold their hands along this journey. Doing something good has to come from your heart; it’s not just writing checks. Knowledge@Wharton: Entrepreneurship is a big topic in Africa. As one of Africa’s top entrepreneurs, what can you tell other people who want to be entrepreneurs? How do we create wealth? Chandaria: Well, the first thing you must do is take a risk and say, ‘Yes, I will move forward with my plan.’ You have to take the plunge. I’ve said this many times, if you want to go to heaven, you’ve got to die first. Essentially, entrepreneurship is all about taking risks, and sometimes failing, if necessary. But failure always opens up another opportunity. But this entrepreneurial mindset is not only for business; this is applicable for running clinics and councils, too. You have to figure out the best way to run these operations. Entrepreneurship is in every endeavor, but the question first is, are you prepared to take the risk? There is a tremendous need for people to become a little bit more daring and say yes. Looking back to my younger years, I was an engineer and we had goods we couldn’t sell. I was asked to sell them in another country, so I went to Uganda. I didn’t know how to sell anything but I went to every shop and spoke with all my potential customers. In a year, I made each one of them feel comfortable with me, and so I became the first one to get orders instead of my competitors. But it took me eight or nine months to establish myself. I think that the question is, do you have time to build relationships and do you have the patience to grow these relationships? And now I’ve built up a reputation where I’m known as an investor who is not only interested in profits, but I’m also known for helping others as well. It’s all about having a mutually beneficial relationship. Knowledge@Wharton: What is the biggest leadership challenge you have faced and how did you deal with it? What did you learn from this? Chandaria: I used to have a lot of conflicts with my older brother about managing our businesses. We always had conflicting ideas. I had to ask myself and decide, ‘Am I going to win this man over, or am I going to fight him?’ So I decided that I would win him over. And that involved following through on his orders and executing his ideas, but I would do it better than what he had imagined. He started realizing, ‘My God, he’s doing exactly what I wanted him to do but even better.’ That was the way to move forward. Many people will have this crisis, and they can choose to step into the mold and break it — but if you don’t get inside that mold, you won’t break it. The point is that when a challenge is thrown down, you must take it. Otherwise, you won’t accomplish anything. Action is necessary. Knowledge@Wharton: Any message you want to leave potential investors, Africans and leaders with as we close this interview? Chandaria: Look, my only message to them is very simple: Your destiny is in your hands. Don’t expect somebody else to do it for you. In 25 years, my business was in 25 countries. How did we do this? It’s all doable. Number one: You must believe in yourself. Number two: You must take risks. Number three: You must get truly involved. If you’re not involved, nothing happens. Don’t let others decide your destiny for you. In Africa, we are sitting on a huge amount of land with water, minerals, resources, etc. But we must have the determination to move forward and execute sound plans.